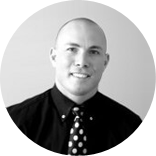 Dr. Justin Misko is a renowned hair transplant specialist and anti-aging expert stationed in Lincoln, Nebraska. Experience compassionate Midwestern customer service in your aesthetic procedures- Dr. Misko proudly serves every unique patient with only the most up-to-date technologies and dedicated, artistic values. Residents in Blair, Elkhorn, Papillion, Plattsmouth, Beatrice, Omaha, Lincoln, and their greater metropolitan areas will discover rejuvenation and restoration perfection in Dr. Misko’s chic, boutique style spa and clinic. Dr. Misko provides a number of aesthetic services. A hair restoration guru, he performs strip and FUE (follicular unit extraction) transplant treatments for hair loss patients. He also provides comprehensive cosmetic and anti aging treatments- including facial resurfacing applications, nutritional therapy, bio-identical hormone replacement, chemical peel, microdermabarasion, Botox, laser eye lifts and much more. Dr. Misko personally guarantees only the most effective, comfortable, and safe treatment for anyone who walks through his door. A highly experienced general practitioner and aesthetic expert, Dr. Misko is a graduate of the University of Nebraska Medical Center in Omaha. He is a renowned Medical Director and regular industry workshop leader. Dr. Misko has provided his unique knowledge to a number of classrooms and conferences in Nebraska. He is also an active member of the International Society for Hair Restoration Surgery, American Academy of Aesthetic Medicine, and the American Society for Laser Medicine and Surgery. Dr. Misko recognizes that every patient is completely unique and requires a customized experience- whether they are interested in laser skin rejuvenation or hair transplants. He offers in-house financing and is happy to discuss financial options. Experience customer care not seen in just any clinic. To get more information about anti aging options, skin rejuvenation, weight loss, spa services please contact our representatives of the Plastic Surgery Portal to schedule a free consultation with Dr. Misko.